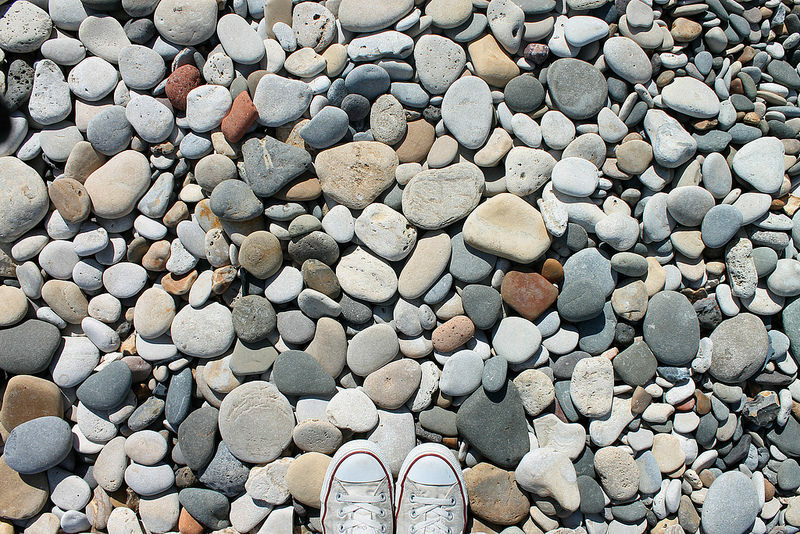 Back in the Summer holidays, my Mum and I had a little break in Seaham, Co.Durham to look for seaglass. 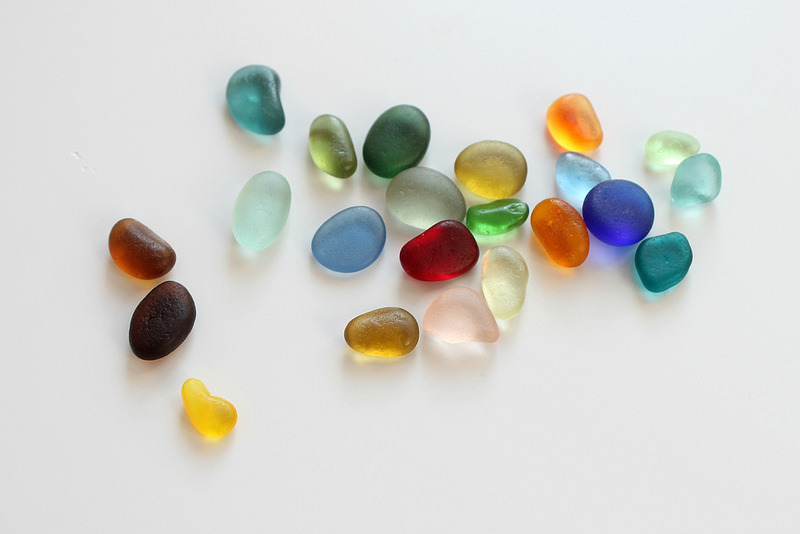 As you know, I love searching for seaglass and treasures at the beach. 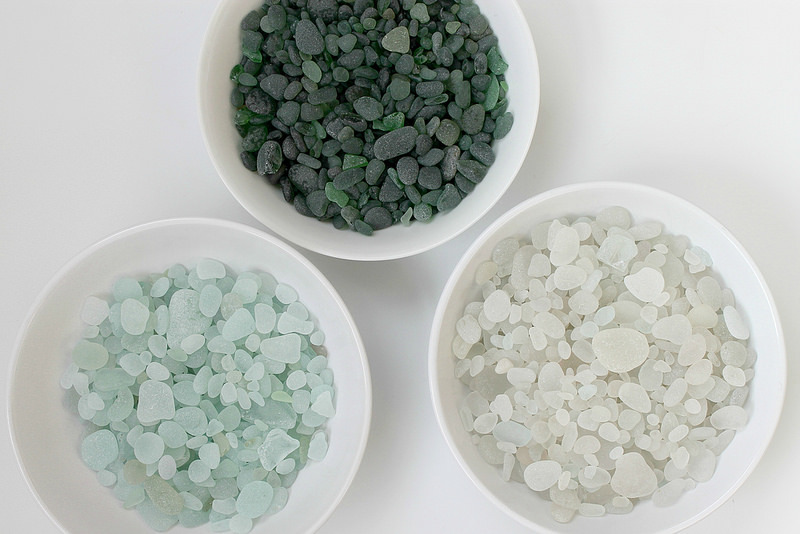 But ever since seeing the wonderful pieces Emma from Silverpebble had found, and reading about the amazing sea glass there, I had been obsessed with the idea of going, of finding my own colourful pieces. 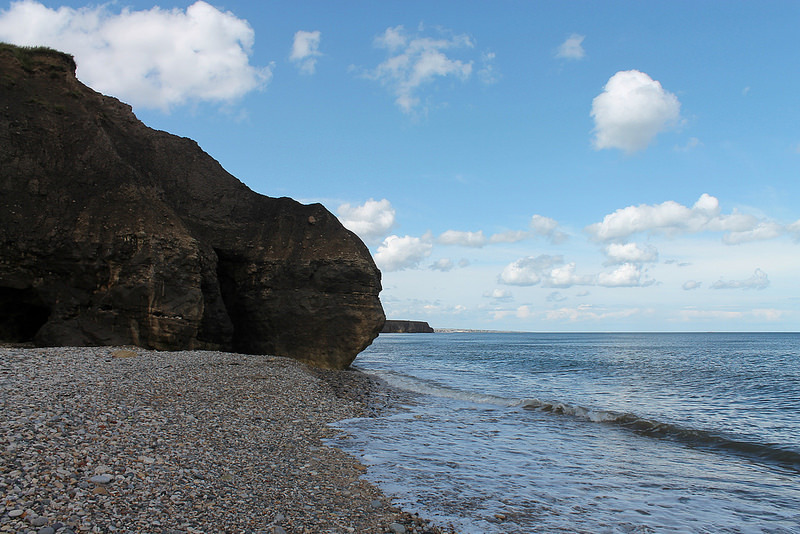 Seaham was once home to a Victorian glass factory that closed in the 1920's. At the end of each day they would throw all the unwanted glass over the cliffs into the North sea. They produced decorative glass items as well as milk and beer bottles, and because the volume of production was so high, so was the amount of waste glass. 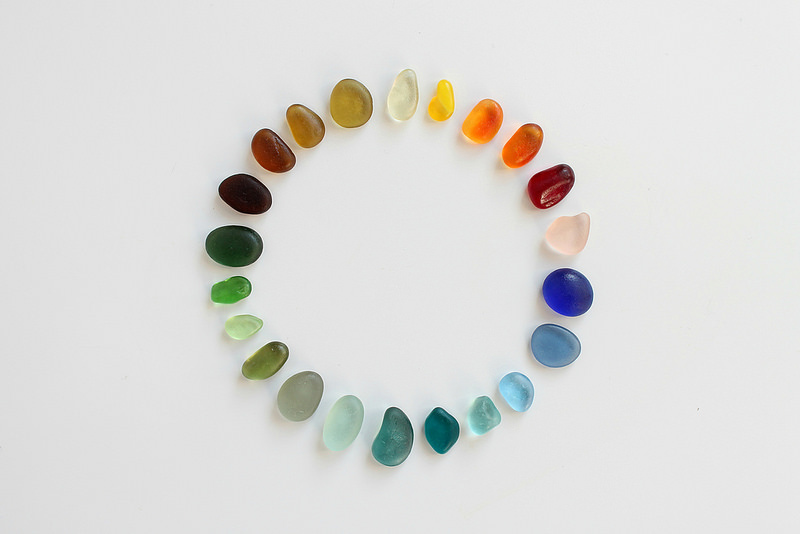 We spent the best part of a day on the beach, picking up little tumbled nuggets of glass in every colour imaginable. 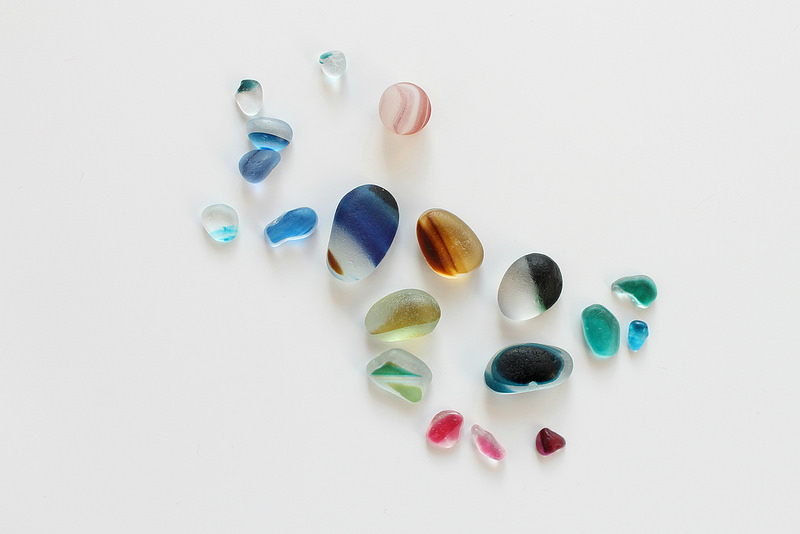 Some of my favourite finds are the striped pieces above, called 'End of Day' glass. They look amazing when they're wet, freshly washed up from the sea. Like little jewels laying on the sand. We collected mostly whites, seafoam and green, but also some wired safety glass, some lovely opaque pieces and some and metal and pottery too. 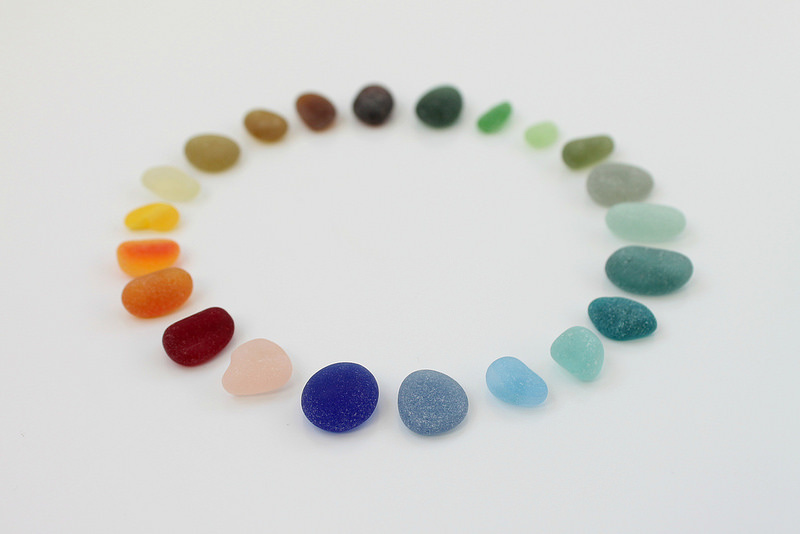 I would love to go back and search for more seaglass one day. The beaches were fairly busy at the time we went, with quite a few people also looking. I imagine you could find a good amount in the winter though, especially after some storms! this just makes me so many kinds of happy. 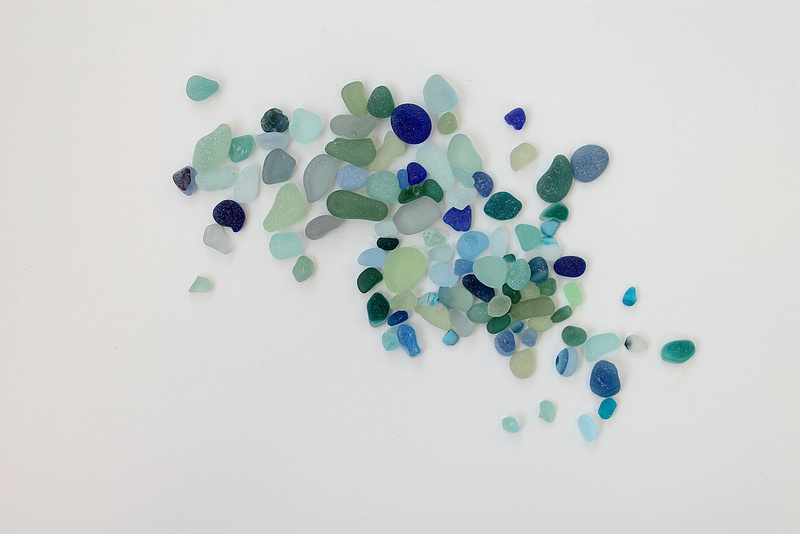 i want to go sea glass hunting with you! 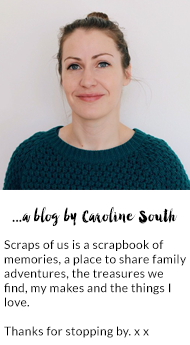 Gorgeous images, Caroline - the coloured pieces look like little sweeties. 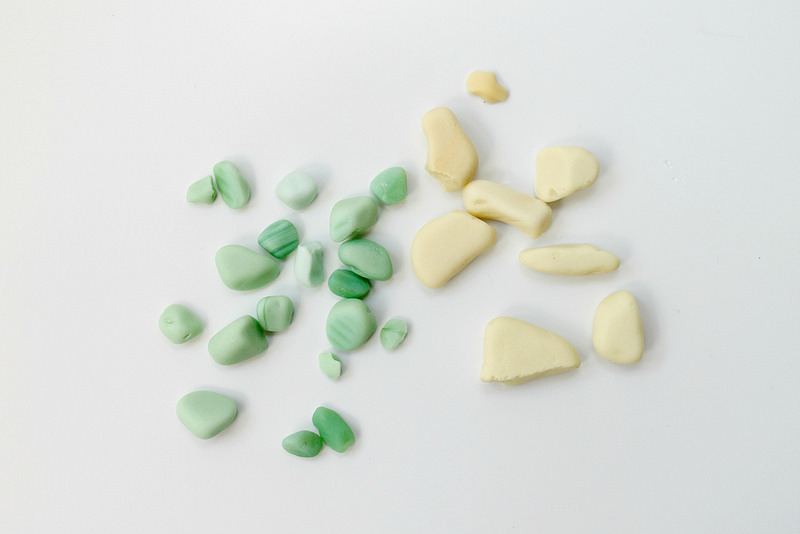 I particularly like the milky green and cream-coloured ones. You'll have to gen up on jewellery-making, they'd look amazing as necklaces and bracelets. All beautiful, says another sea glass fan, but I find myself most attracted to the wired pieces, the way they are tinged with rust, the inner grid and the outer irregularity ... exquisite. Really beautiful finds. I enjoyed reading about the glass history of this area too, so interesting & such colourful results. Oh my goodness Caroline! I want to go there! 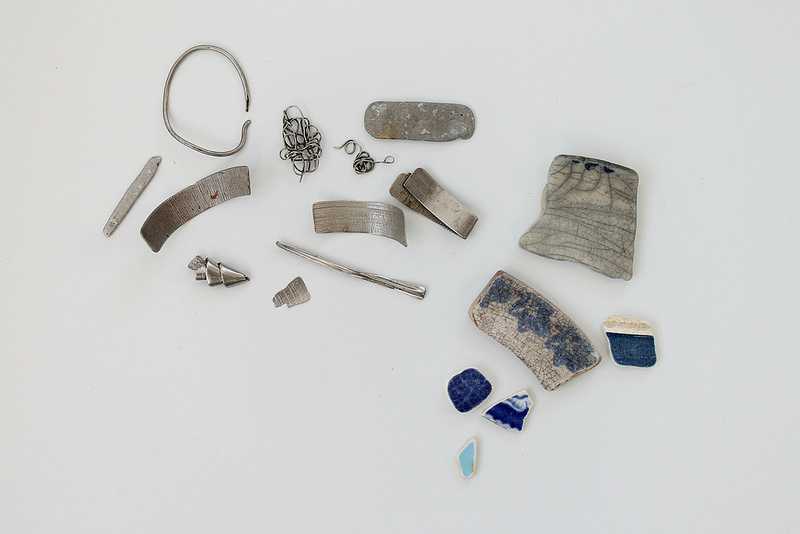 And you found blue pottery shards! I have amassed quite a collection this summer. Those colours are gorgeous. And I salute your photography, as always. Thanks Leanne. 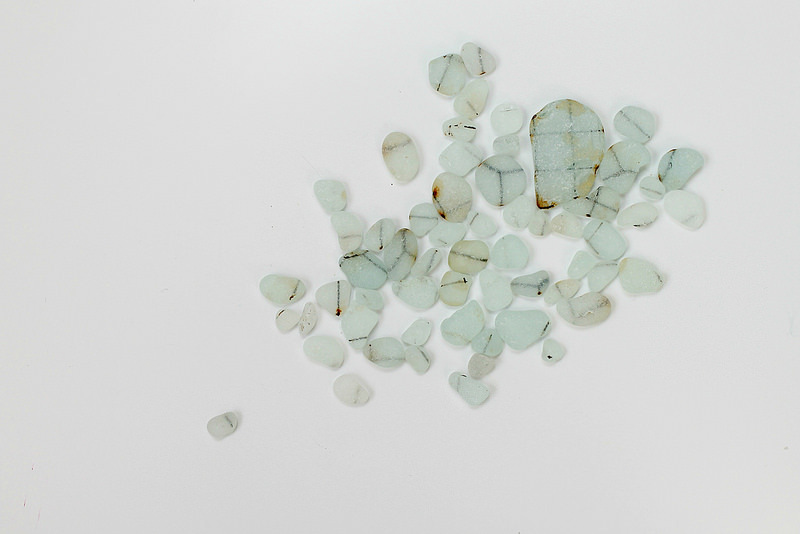 It doesn't seem quite so exciting when I find the odd piece of sea glass here now though! Wow, what finds! And so beautifully arranged. 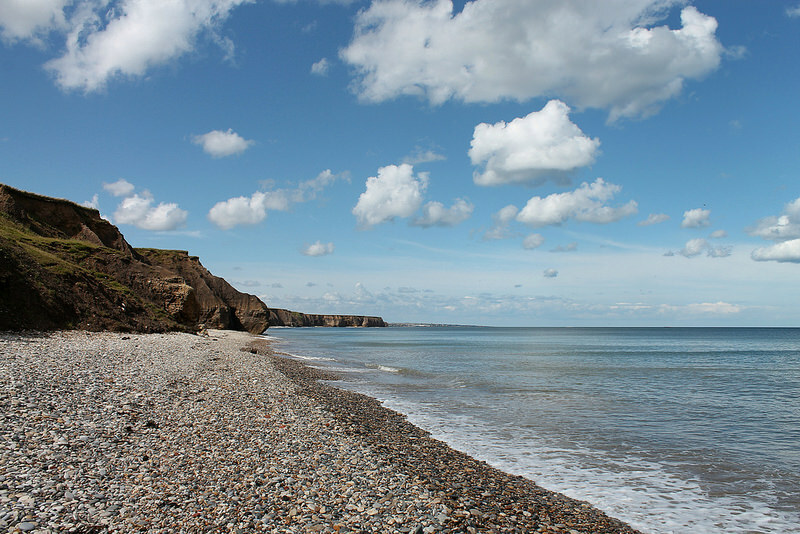 I've found some great sea glass and pottery on the North East coast, but have never been to Seaham. We'll all be there looking. If ever you go to Spain the beach at Nerja is good but doesn't yield such a beautiful array of colours. Wow, that's an impressive collection, and the colours are just amazing!! So pretty!